Beirut (AFP) - Several Syrian rebel factions merged with the Fateh al-Sham Front on Saturday after days of clashes between armed opposition groups and the former Al-Qaeda affiliate, they said. The jihadist group and four rebel factions -- including the influential Nureddin al-Zinki faction -- labelled the new alliance Tahrir al-Sham. "In view of the plots shaking the Syrian revolution... we announce the dissolution of all groups mentioned below and their total merger into a new entity named 'Tahrir al-Sham'," they said in a statement. Islamist factions Liwa al-Haq, the Ansar al-Din Front and Jaish al-Sunna also signed the declaration. The new alliance, whose name means "Liberation of Syria", emerged days after other rebel factions joined the powerful Ahrar al-Sham group. Fateh al-Sham and Ahrar al-Sham have for years battled side by side against President Bashar al-Assad's forces in the northern province of Idlib, the last major bastion of the armed opposition. But the former Al-Qaeda affiliate -- which is listed as a "terrorist" group by the United Nations and Western governments -- has clashed with its erstwhile allies in recent days across Idlib and the neighbouring Aleppo province. The fighting continued on Saturday with Fateh al-Sham seizing the area of Ihsem and the village of Dana in Idlib from rebel factions, the Syrian Observatory for Human Rights monitor said. Fateh al-Sham has been excluded from both a fragile nationwide ceasefire in force since December 30 and peace talks organised by Russia, Turkey and Iran this week in the Kazakh capital. The members of the new alliance did not attend the Astana talks either. 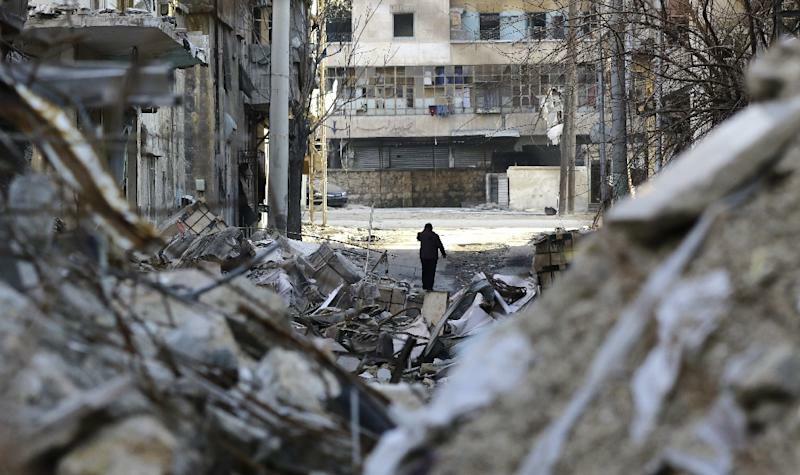 Fateh al-Sham has accused rebels of seeking to isolate it as it is targeted by deadly air strikes. Most are believed to have been carried out by the US-led coalition fighting jihadists. The Britain-based Observatory has said Fateh al-Sham appears to believe that local rebels were providing coordinates for the strikes. The armed opposition has for months criticised Fateh al-Sham, accusing it of tarnishing the image of the rebellion because of its ties to Al-Qaeda, even after its cut ties to the global network last year. Tensions rose further after the army retook the whole of Aleppo from the rebels last month, and they traded blame for the fall of the northern city. Syria's conflict has killed more than 310,000 people and displaced millions since it started in 2011.